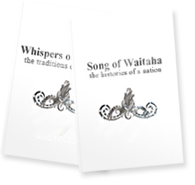 Whispers of Waitaha – New Price! 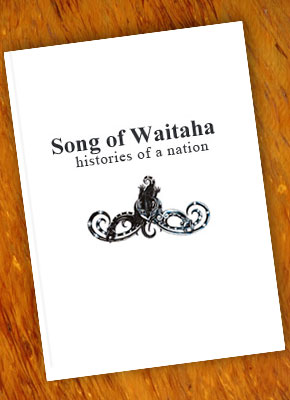 Whispers of Waitaha – Traditions of a Nation are the words of our Grandmothers, written in this time to spread the message of Peace & Hope. Within these pages are the words of our Grandmothers, written in this time to spread the message of Peace and Hope. ‘Whispers of Waitaha – Traditions of a Nation’ is the second book in the Waitaha Histories. Ata whakarongo ake e moko, Ki enei korero o ou matua tupuna, I haere tawhiti mai ki tata. Listen carefully moko to these the words of your parents and grandparents that have come here from afar.